If your children love slime like mine do, they’ll love this Edible Starburst Slime made using Starburst candies. My kids absolutely love making slime! We have tubs and tubs of slime everywhere. I feel like at times that slime will overtake my house, yet I still keep on buying more slime ingredients. 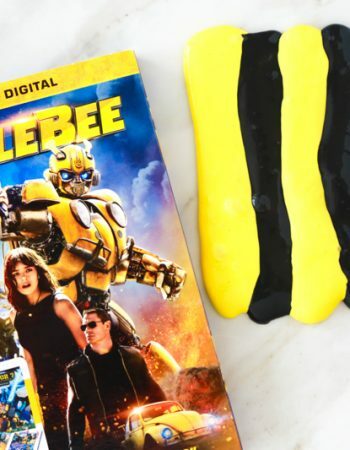 Our latest experience was another edible slime and we’re absolutely loving how easy it is to make. Plus, it’s just a delight for the senses. 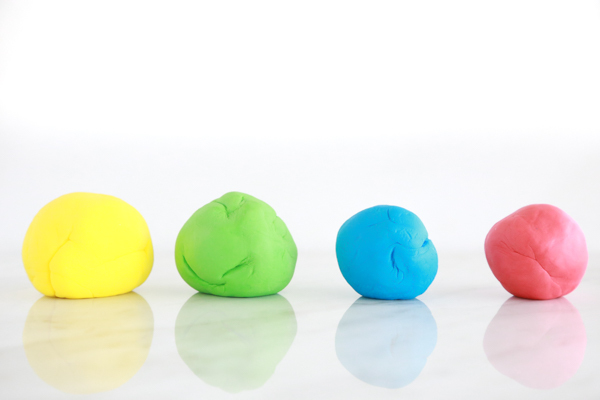 If your children haven’t talked you in to making slime yet, this is an easy one you can start with. 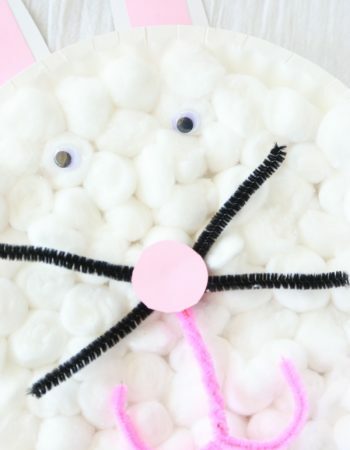 It’s a non-toxic, edible slime that’s made with candy. 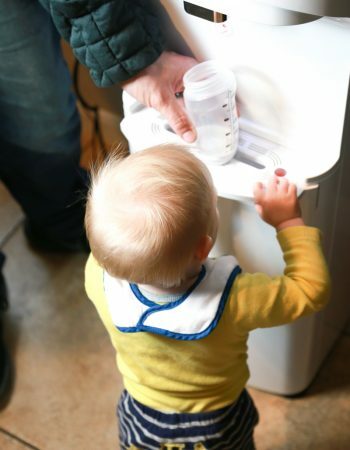 Non-toxic is not to be confused with calorie or sugar-free. It’s absolutely stretchy, gooey and completely edible, although I don’t recommend eating an entire batch. For my kids, I tell them it’s taste-safe, not to be confused with a snack. 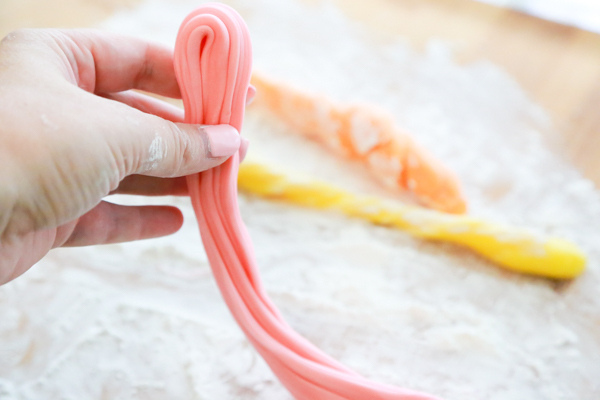 This Edible Starburst Slime is super stretchy and can be really sticky. Once you work it out though, it has more of a clay-like consistency, especially in colder environments. It is so much easier to play with when it’s warm, so keep pulling it and stretching it in your hands. I know some slime recipes have a lot of ingredients, but this Edible Starburst Slime recipe only requires 3 simple ingredients. 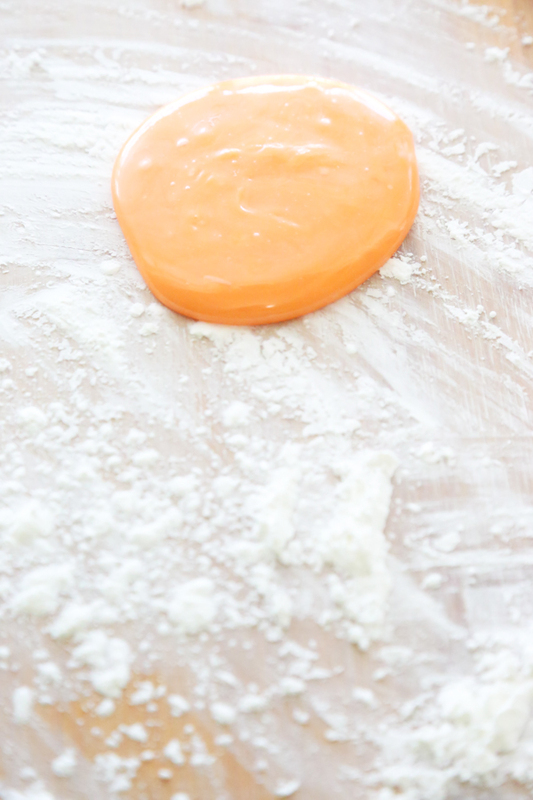 Are you ready to make some Edible Starburst Slime? 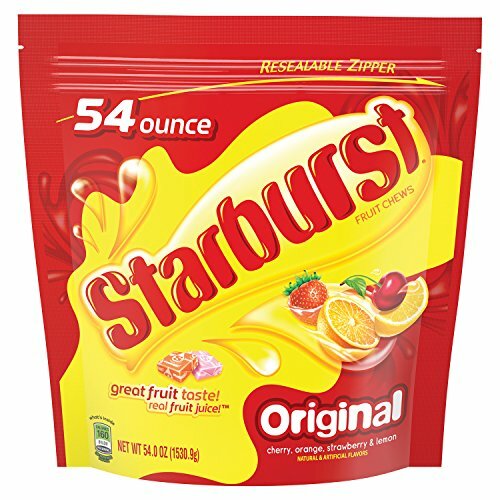 Starburst CandyBuy Now! 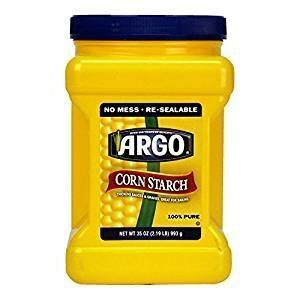 Corn StarchBuy Now! 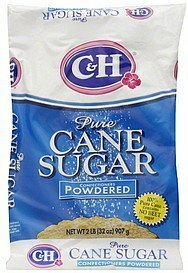 Powdered SugarBuy Now! Have your children help you unwrap all the Starburst candies and place them into separate microwave-safe bowls according to color. This is a great teaching opportunity to younger children for color recognition. Hint: Have a small plastic bag available for them to put the wrappers in so they don’t end up everywhere. Also, supervision is probably necessary so that all the Starburst candies don’t somehow disappear – LOL! 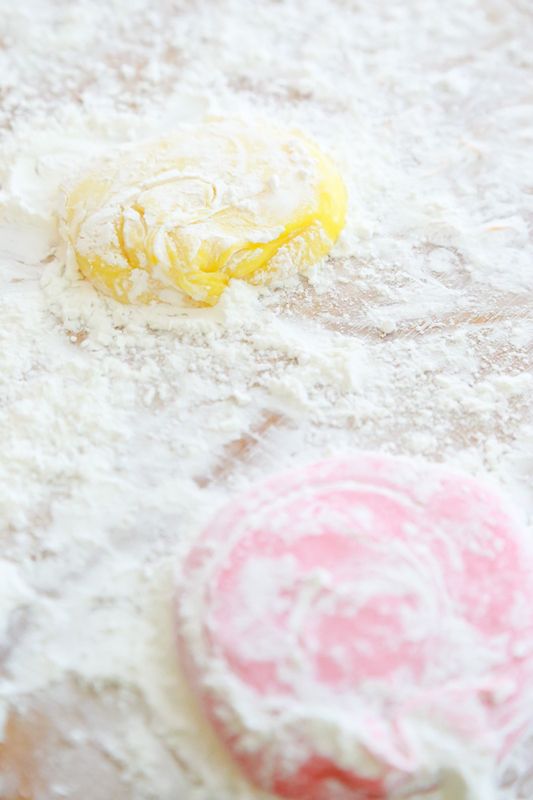 Mix corn starch and powdered sugar together and sprinkle onto a hard, flat surface. Reserve some to use for your hands while you’re working the slime. Next, melt Starburst candies. I tried using a double boiler, but I like using the microwave better. It’s easier for us and I feel it’s safer, especially for younger children. However, this isn’t a slime recipe your children should do on their own. The Starburst candies get really hot and will cause burns if you’re not super careful. We have a 1000-watt microwave and I do 2 rounds of 15 seconds, stirring between. You may need to adjust timing based on your microwave. 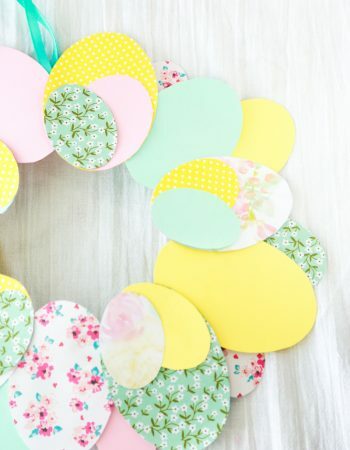 Once candies are melted, remove from microwave. Repeat for each color. 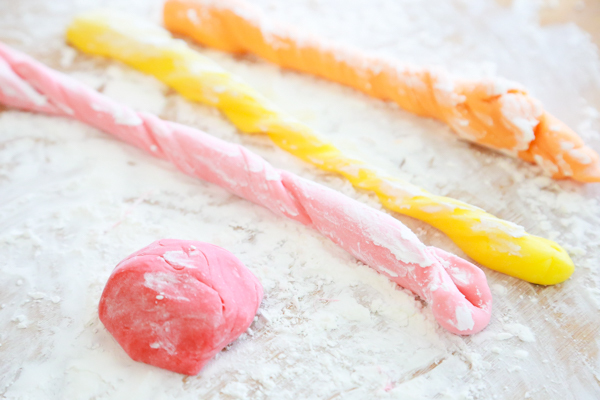 Once candy has cooled, knead with the corn starch and powdered sugar mixture. 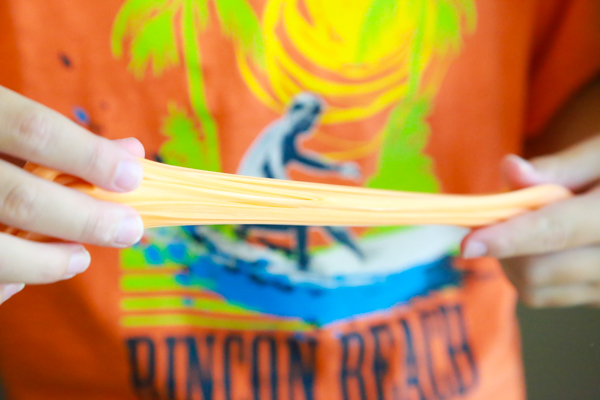 The key here is to pull and stretch it, much like if you were making taffy. 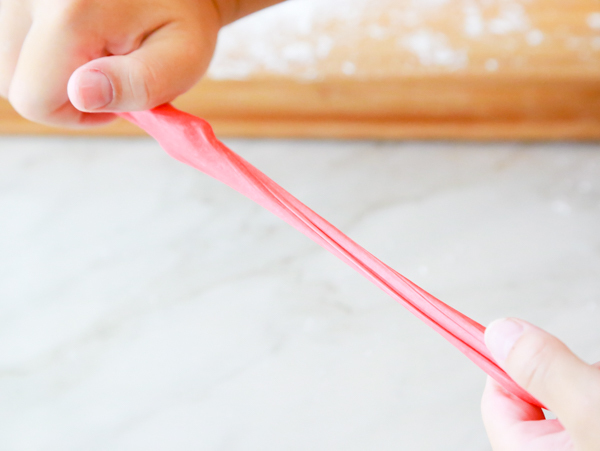 Doing this will help the Edible Starburst Slime to become more stretchy and less sticky. Super fun, right? And really, it’s easy to make. You just need to be really careful with the hot, melted candy. Once you get passed that part, it’s smooth sailing. 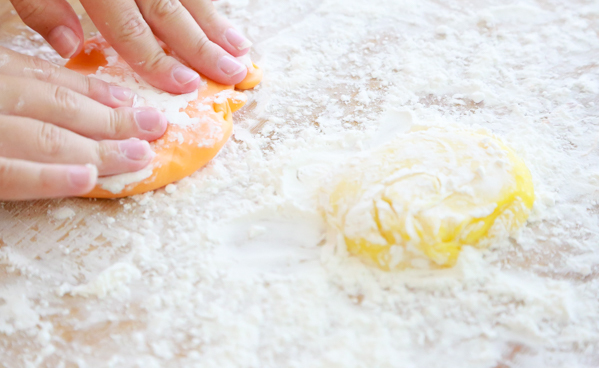 Tip: If you think you’re children will want to taste the Edible Starburst Slime, make sure they wash their hands before beginning to knead, pull, and stretch it. 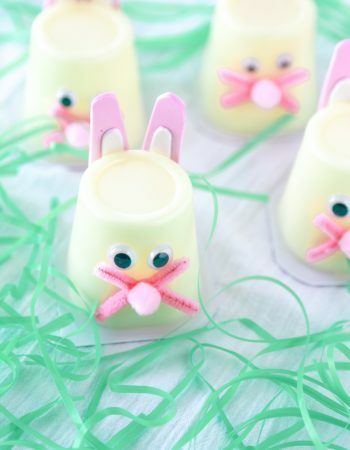 Don’t forget to pin this Edible Starburst Slime to one of your favorite Pinterest boards. 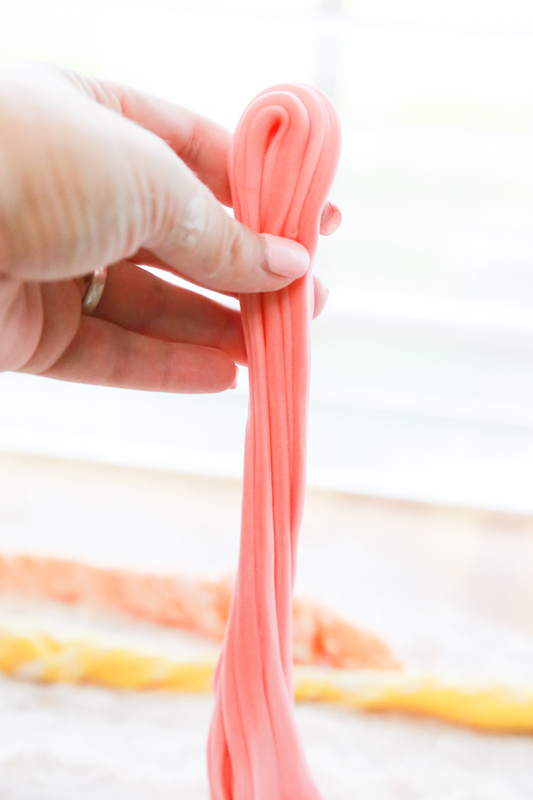 I know your kids are going to have so much fun making this Edible Starburst Slime. 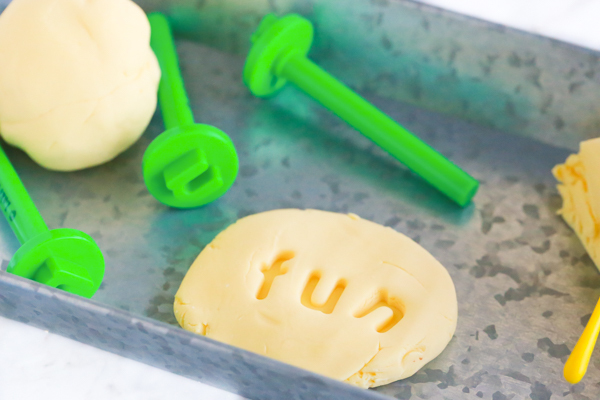 If you liked this fun slime recipe, you’ll probably like these, too. How do you keep it from hardening so quickly?